Gosh That’s Good! 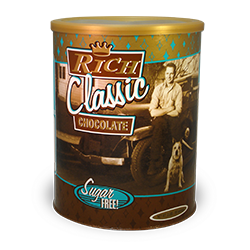 Brand™ - If you're looking for the old fashion goodness of rich smooth chocolate, SUGAR FREE Rich Classic is for you! This has been a favorite for years now available to you. Its high cocoa content and full flavor balances perfectly with espresso and hot chocolate drinks. 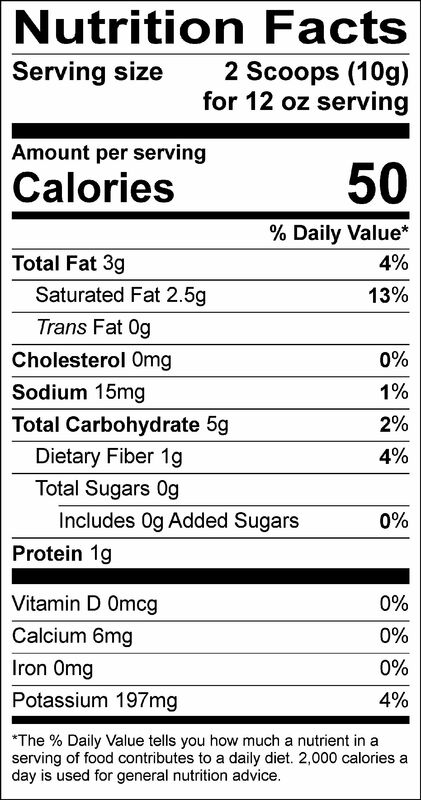 Non-dairy creamer [coconut oil, maltodextrin, sodium caseinate (a milk derivative), mono-and diglycerides, dipotassium phosphate, silicon dioxide, soy lecithin], cocoa (processed with alkali), natural and artificial flavors, tri calcium phosphate (anti-caking agent), sucralose, acesulfame potassium, maltitol, neotame, salt.